I’ve been working on a project for the holidays this year and I’ve been so excited about it! I wrote about it previously, but figured I needed to revamp it just a little. I love handmade small businesses, I always have and I’ve learned so much in jumping in headfirst honestly. It’s been the greatest risk I’ve taken in some time (it’s been a lot of tears and prayers). However, one thing I realized is with anything it costs money. 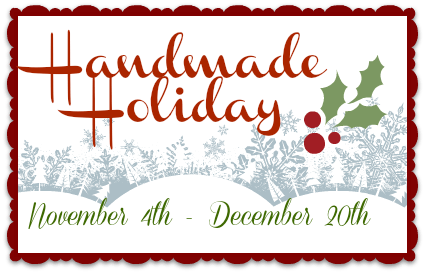 So I wanted to start featuring shops for the holidays. Yes… YOU! No cost to you at all, I just want to show the heart of what you do. You may be asking why am I doing this? I will tell you honestly that my goal is so that others can see the heart and person behind the work. Most times we all look through Etsy and see something we like, but don’t really know the story behind it. Why do you make what you make? I’d love to know and I know others would too. I’ve noticed even with this community of small business owners the “top sellers” get the audience you’re hoping will find you. So let’s help them find you! Anyone can make an item…but you’re not just selling a product, you’re selling your name. So let’s do it together! – Background (a personal blurb about yourself – are you a college grad travelling the world one backpack at a time or a mother of three juggling stay at home life?) Share a bit about you! – How long have you been doing this (drawing, sewing, etc)? – What is the cataylst for your shop (i.e. passion, inspiration, etc)? – When did you open your shop? – What are you favorite supplies/items to use? – What type of items do you sell/offer? Can you purchase custom items? * Do you have anything special for the Holidays as in sales? * When do your Holiday orders stop so they can arrive on time? Then attach pictures of your items so I can be sure to show them! I really hope you will join me in celebrating and growing your own business this season. It really would be my honor to feature you here.